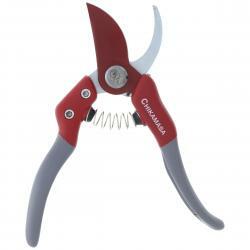 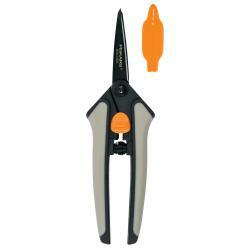 The Chikamasa PS-8PLUS-R gardening scissors are sure to be the sharpest, most comfortable pruners you will ever use. 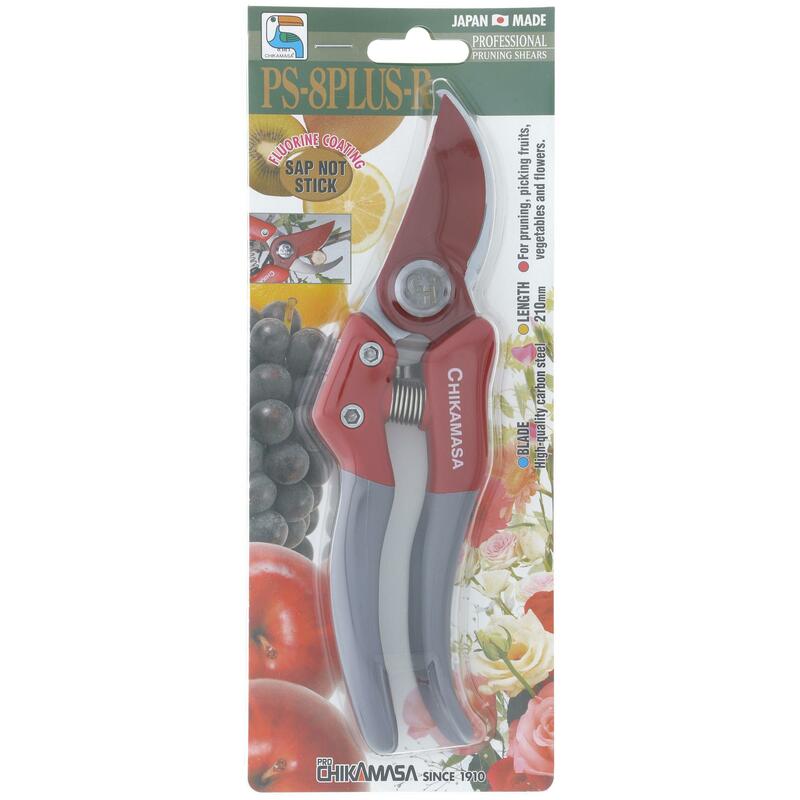 These elegant pruners feature the classic Chikamasa fluorine coating, so sap and resins won't stick to the carbon steel blade. 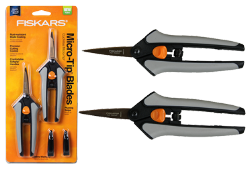 The blades open more widely than most pruners, making pruning easier on your hands and wrists, as well as your wallet. 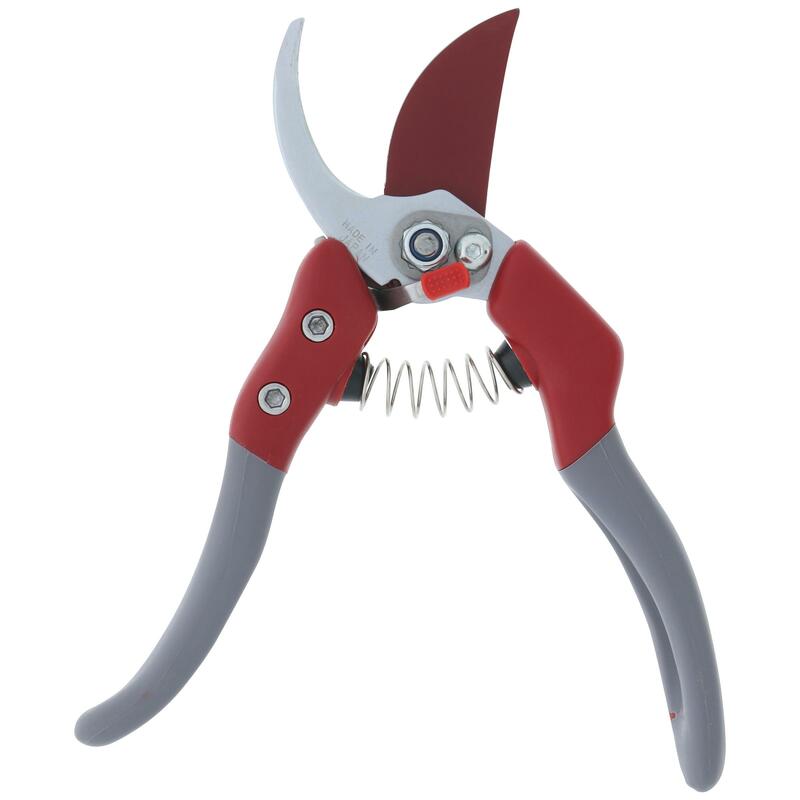 This model rivals other pruners on the market that are 3x more expensive. 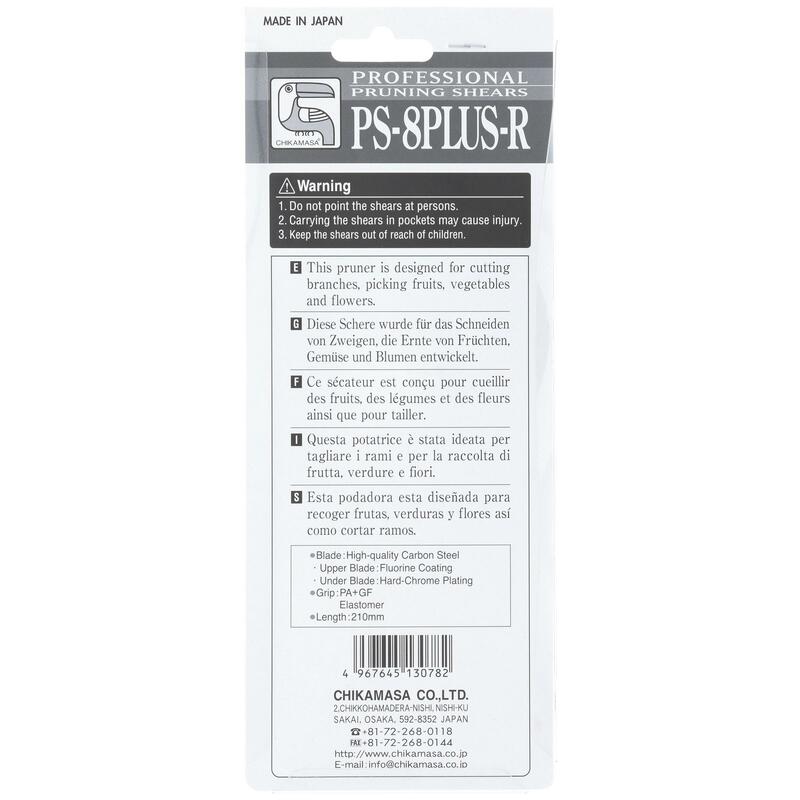 Soft cushion guards protects hands from shock. The Chikamasa PS-8PLUS-R pruner has an easy-to-reach, one-touch safety lock that keeps the pruners closed when not in use. 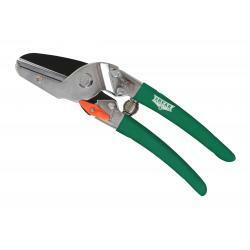 It's easy to see why these pruners will quickly become one of your favorite tools.